High achievement always takes place in the framework of high expectation & hard work opens doors and shows the world that you are serious about showing your talent to do their very best. This has been proven by Bhaves Advertisers by making best use of technology and young talent to grow their business. Bhaves Advertisers bagged “First Top Performer Award” for doing top business in their region awarded by The Times of India Group for the Financial Year 2016-17. 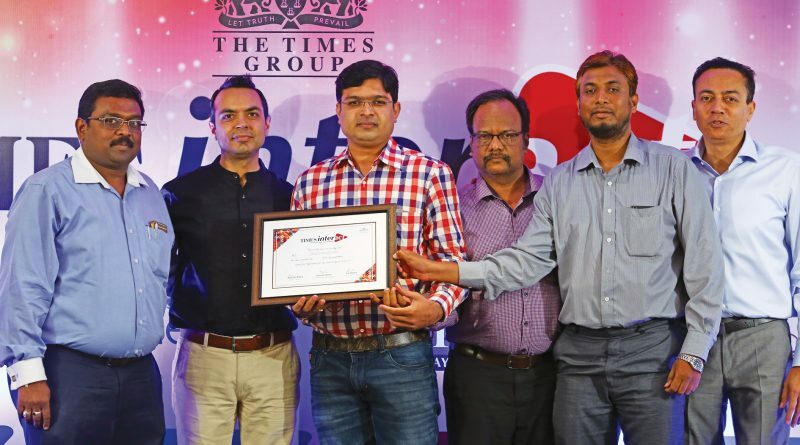 According to a press release an event was organized by Times Interact team and the award was given by Mr. Rajnesh Rikki, Director, Times Response along with him where Mr. Gaurav Batra, National Vertical Head, Times Response and Mr. Sai Doma, Vice President, Times Response to Bhaves Advertisers team. Working in Newspaper Advertising industry since last 3 decades, Bhaves Advertisers have created a respectable position in the Industry. According to the founder Mr. Hari Prasad Chandak in previous ages advertising business was done serving door to door to the clients but thanks to the internet now global clients are been served from one place. We have upgraded ourselves as time demanding. With the power of young team we created our website www.ads2publish.com where people can book advertisements online for more than 75 newspapers in India. Using our website through phone or computer you just need to follow few simple steps to book advertisement in newspaper and can make payment through Credit / Debit Cards or Internet Banking. You would receive instant confirmation of your advertisement booking and a great customer support team to help you.